24 August 2018, at 12:00a.m. On top of taking all the necessary biosecurity measures, farmers are also looking at extra ways of protecting their flocks, including the use of lasers to try and keep wild birds at bay. 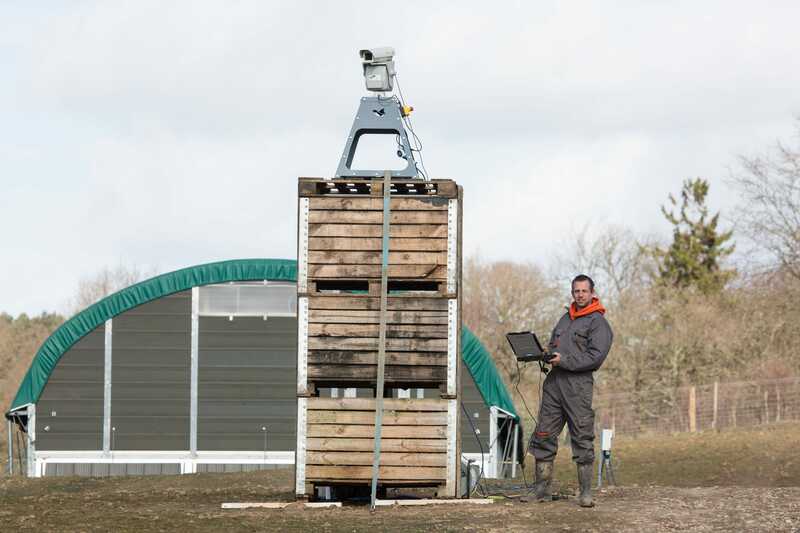 Last year, an outdoor organic poultry unit in East Sussex leased laser technology developed by a Dutch company to scare off other birds from mixing among their laying hens. 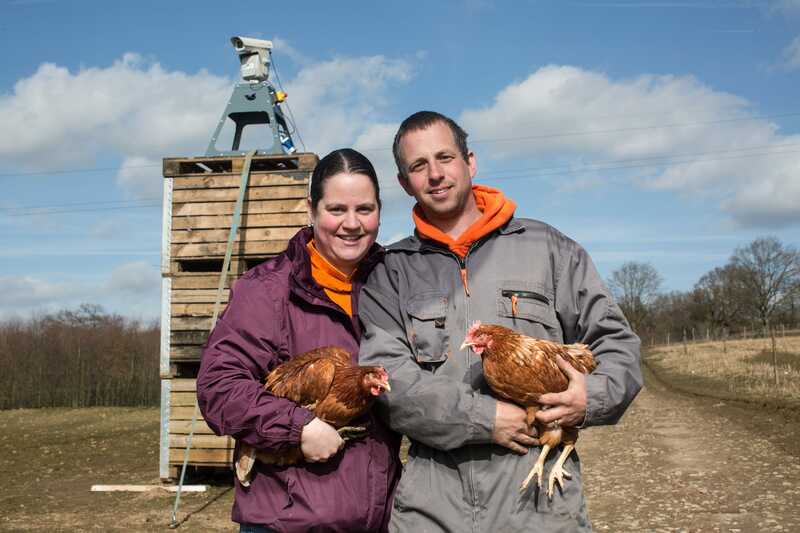 The system made a huge difference at Orchard Eggs, run by Dutch husband-and-wife team, Daniel and Karen Hoeberichts, who keep 4,500 hens outdoors on their farm near East Grinstead. They leased the lasers at a cost of £500 per month for a three-month period from UK distributors PestFix (UK) and noticed a significant difference. The farm is not currently using the lasers but with all the recent confirmed cases of bird flu in the UK and Ireland, Daniel is seriously considering using them again soon. Daniel was the first poultry farmer in the UK to set up the laser system in a bid to keep other birds away. His farm in East Sussex is not on any wild bird migratory route but he was having problems with pigeons, magpies and other local species, any of which could also carry the bird flu virus. “We leased the system for three months after careful consideration,” says Daniel. “It took a few days for us to notice any results but after that we really did witness a lot less birds around. At Orchard Eggs the hens roam freely around 50 acres of orchards and have access to moveable houses within the grounds when they need it. Neighbours of Daniel’s also witnessed a reduction of birds landing, particularly one who is a keen gardener. “We saw a 90 percent reduction in the other birds landing on our site,” says Daniel. “The lasers, although not a guaranteed insurance against bird flu, gave us the feeling of security and peace of mind that we were being proactive in defending our flock. “Close to our farm is a neighbour who grows a lot of fruit and vegetables. He also noticed a big difference when the lasers were installed. Sadly, he also noticed a huge difference when the lasers were taken away again as the birds returned and destroyed some of his crops. “We are watching the current developments regarding bird flu cases very closely,” adds Daniel. “If the situation of outbreaks becomes worse we will consider setting up the lasers again. According to the technology’s developers, the principle of repelling birds with a laser beam was inspired by nature. The birds think the approaching laser beam is a physical object; they go into survival mode and fly away. The automated laser is an innovative method of repelling unwanted wild birds without causing harm to them, the chickens and the surrounding environment. The system has been developed by the Dutch company Bird Control Group, in cooperation with the Delft University of Technology in the Netherlands. The laser is silent and shows effectiveness of 90 to 100 percent in bird dispersal at farms, which the company says makes it a viable alternative to the expensive method of installing nets all around the entire poultry farm. He says: “I believe we can help companies in the poultry sector to prevent conflicts with birds. We noticed the entire value chain has problems with birds – from the large poultry farms who want to keep wild birds away to prevent avian flu to the processing sites and packaging companies which face health-and-safety issues caused by wild birds. “In 2016 and 2017 we completed early trials and first installations at poultry farms. We are pleased that the automated laser technology has been adopted by first movers in both the United States and Europe. Dan England, director of distributors PestFix (UK) says: “We are also continuing to monitor the bird flu outbreaks and where they are being detected. Our company maintains communications with farmers in how the lasers can help keep unwanted birds at bay by sending out information on our products via mailshots and online.